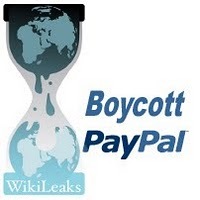 By respect for democracy and human rights the International Commitee for Ethical Certification invites all citizens, companies and governments to boycott Mastercard, Paypal and Visa. Please be ethical: don't finance criminal organizations like Mastercard, Paypal and Visa. and to boycott Mastercard and Visa.